With regard to the body, pay extra attention to the wood that you choose, keeping in mind that there will be some variations in sound between the different types. For example, maple has a brighter tone, whereas mahogany is a bit mellower. If you do choose maple, consider paying the extra cost for “quarter sawn;” most often, it is a much better cut of wood. Some companies such as Warmoth also offer options for binding. While this is purely aesthetic and will have no affect either way on your tone, it can contribute to a very classy look, depending on your taste. Another option worth considering is a chambered body. When a body is “chambered,” it has several cavities and this offers a kind of “best of both worlds” scenario as you get the interesting qualities of a hollow body guitar, but without the headaches of feedback, since the majority of the body is solid. Now, some Telecaster players may dream of a Tele with a vibrato arm. Well, no problem, since Warmoth offers you the option of having the Telecaster body routed for a standard Stratocaster bridge. In this case, there will be the standard thru-body tremolo construction, complete with trem claw and springs. There certainly are many other options to choose from, which means that you can go pretty crazy. 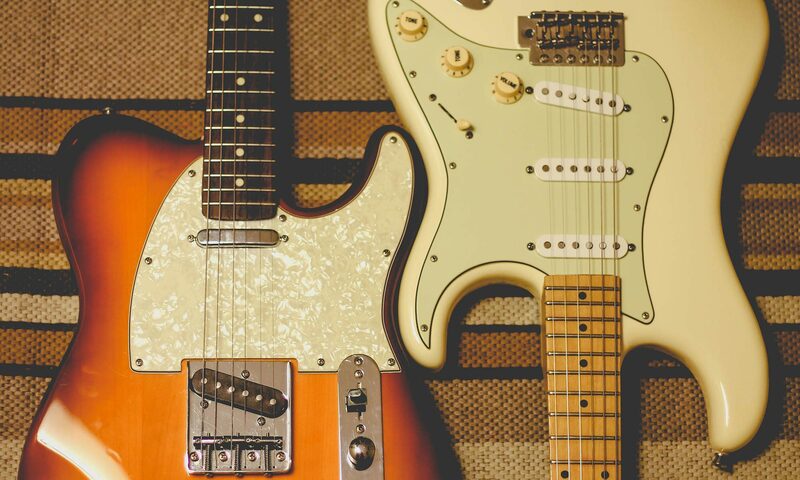 But, whatever your dream Tele may be, I hope the links below will point you in the right direction for great Telecaster guitar parts. What are The Best Telecaster Bridge Pickups? What are the Best Telecaster Neck Pickups? What are the Best Telecaster Bridge Pickups for Blues? What are the best Telecaster Bridge Pickups for Rock? Next PostNext Telecaster Bridge Pickups – Which Ones Are Best?